Hugh Kaptur is a visionary designer who practiced in Palm Springs and the surrounding Coachella Valley area from the late 1950s through the early 2000s. 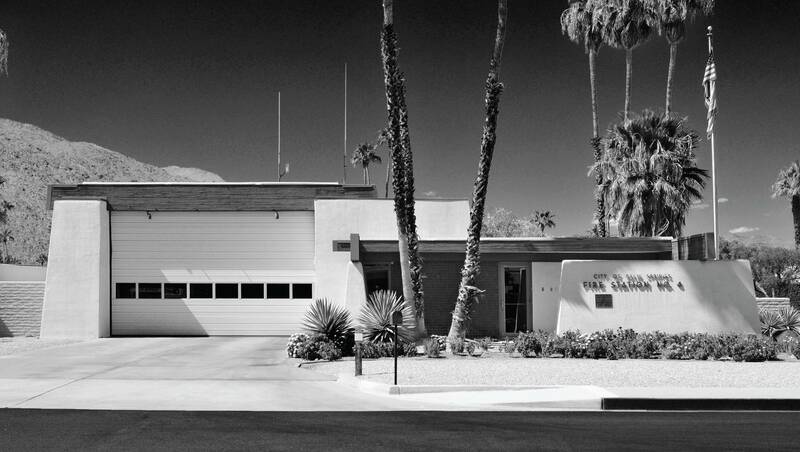 With more than 200 built projects in the area—residential, commercial, and institutional—he played a significant role in the architectural development of Palm Springs. Through architectural drawings, models, sketches, period photographs, and ephemera from the Kaptur archive, along with new photography of select projects, the exhibition will show the range and importance of Kaptur’s practice and will place him in the context of his Desert Modern peers. A small illustrated brochure and lectures and architecture tours will complement the exhibition. Kaptur, who was born in Detroit, Michigan, worked for a time in the styling division of General Motors (his father had been a designer engineer at Packard and GM). Kaptur studied architectural engineering at Lawrence Institute of Technology in Detroit before joining the US Marine Corps in 1951. Kaptur’s first project was an office building for his in-laws in 1953. In 1956 he relocated to Palm Springs, where he continues to live today. Kaptur obtained his California architecture license in 1967 and has been a member of the American Institute of Architects (AIA) since 1968. Kaptur apprenticed or partnered with many respected desert architects including Donald Wexler, Robert Ricciardi, and Larry Lapham. Kaptur received a Palm Springs Walk of Stars in 2014 which is located adjacent to the A+D Center. Kaptur has designed homes, apartment complexes, civic buildings, including Palm Springs Fire Stations Nos. 3 and 4, commercial office buildings including Tahquitz Plaza, and hotels. While a number of Kaptur’s early residential projects feature post-and-beam construction and are more rectilinear in form, the majority of his work is in an organic modern style inspired by the desert architecture of Arizona and the work of Frank Lloyd Wright at Taliesin West and his buildings often feature thick walls, deeply inset windows, and wide overhangs that protect them from absorbing the intense desert heat. One of Kaptur’s first completed project in Palm Springs was the Impala Lodge, now the Triangle Inn, in 1957-58. Other projects soon followed including the Pete Siva Residence and the Robert LeaverResidence (now demolished) perched above Palisades Road below Frey House II on a rocky ledge with sweeping panoramic views of Palm Springs and the Coachella Valley. He is perhaps best known for two houses in the Southridge development in south Palm Springs, one for Thomas Griffing (designed 1963, completed 1964), which was made famous by actor Steve McQueen, its second owner, the other for William Holden (1977). From 1982-1992, in partnership with James Cioffi, the firm completed several residential and commercial projects in Palm Springs including the Villa Caballeros Condominiums and the Caballeros Plaza / Unified School District offices on Tahquitz Canyon Way. This exhibition is organized by Brooke Hodge, Director of Architecture and Design and Frank D. Lopez, Archivist/Librarian. This exhibition is made possible with generous support from Palm Springs Preservation Foundation, Palm Springs Art Museum Architecture and Design Council, and Marion & Bob Rosenthal. Additional support is provided by Mimi & Steve Fisher, Joan & Gary Gand, Jim Gaudineer & Tony Padilla, Beth Edwards Harris, Roswitha Kima Smale, Ph.D., The Five Hundred/John P. Monahan, The Paul Kaplan Group. Exhibition Season Sponsors: David Kaplan & Glenn Ostergaard, Dorothy C. Meyerman, and the Herman & Faye Sarkowsky Charitable Foundation. 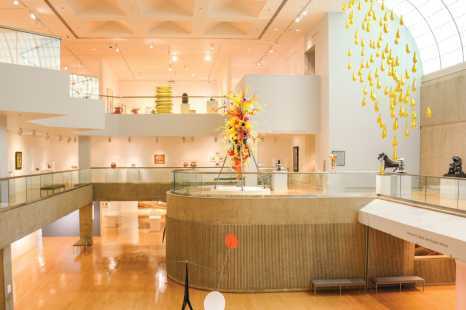 Installation photography by Lance Gerber courtesy of Palm Springs Art Museum.